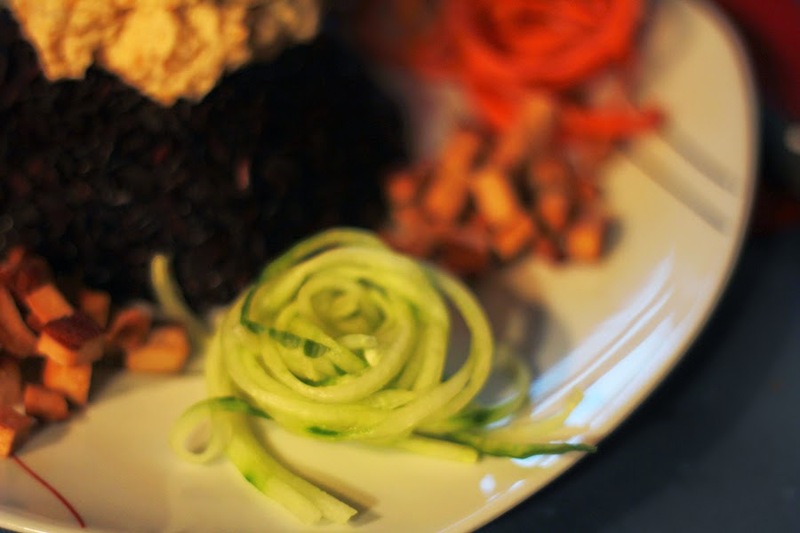 A new week, a new vegan dish and of course a new #cookwithmemonday. 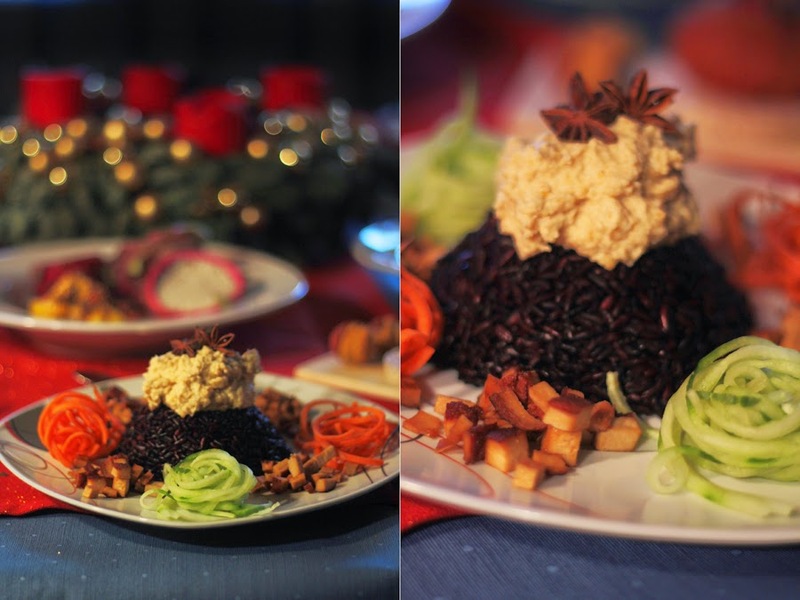 Today's article is about a recap to my vegan Christmas dinner, since I haven't shared the main dish with you guys so far, which I want to do today.. 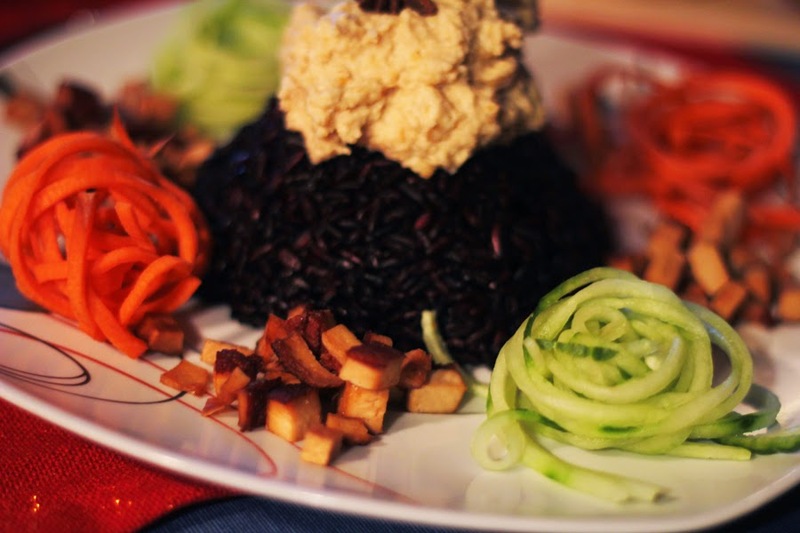 The main dish was black rice, with hummus, smoked tofu and on side carrots and cucumber. I wanted to have something very light and not, as usually to Christmas, fatty and "cheating". When I create my dishes I want people to care about a healthy diet and show doubting people with my Monday postings, that a healthy, clean nutrition which is also vegan is not boring and much more than just a plain salad. This is why I decided to make the main course as colorful as I was able to. It was also very simple to do the main dish, so it will also me a nice option for a casual lunch during the week. First step is of course to cook the rice. 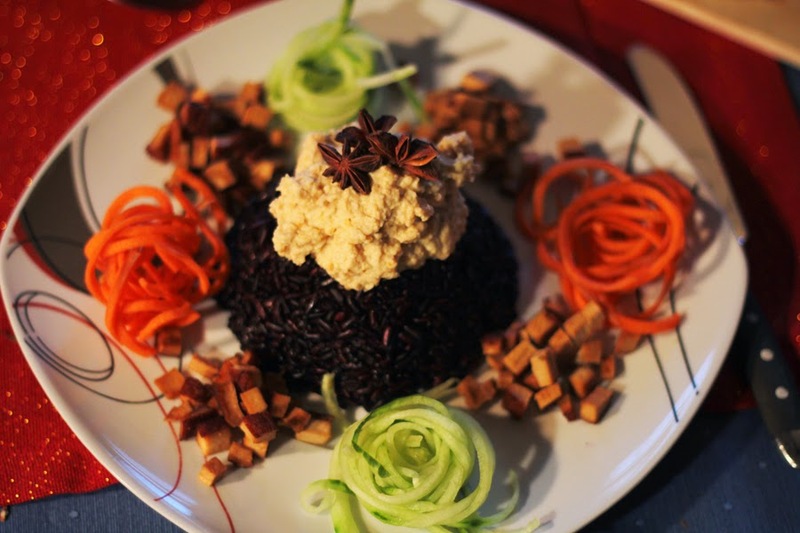 I used black rice since this one has more vitamins and proteins than the simple white one, but if you rather prefer the other one you can also feel free to decide to take another type of rice, also quinoa (white, red, black or mixed) is a nice option to rice. 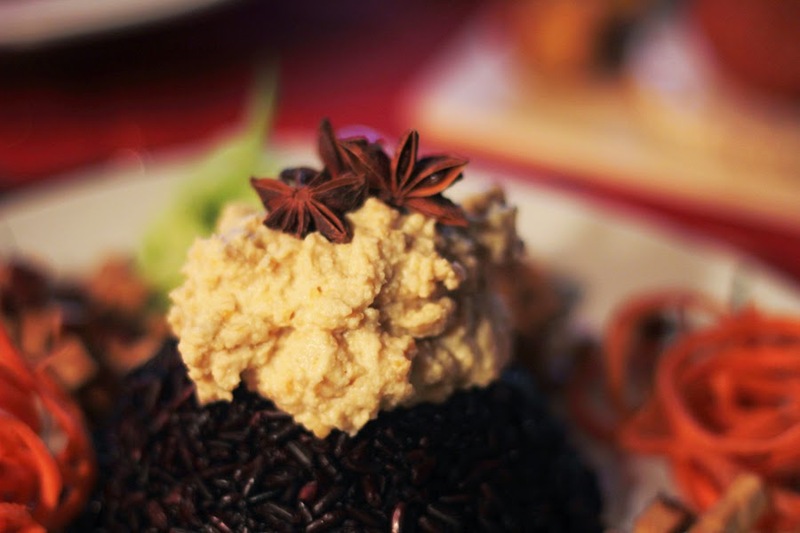 Next step was the hummus which I made of chick peas, soaked in water over night and cooked on the other day. I also added tahin, citron, water, salt and pepper and garlic to give it a nice and fresh taste. In the meanwhile I put a spread of coconut oil in a hot pan and added onion and smoked tofu which I grilled until it was crispy. Last part was the vegetable which I put in my spiralizer to give it a pretty shape as a delicious looking decoration. On top I put some anise and other herbals, and that's it. Enjoy your next colorful inspired lunch, following the quote "count colors, not calories".